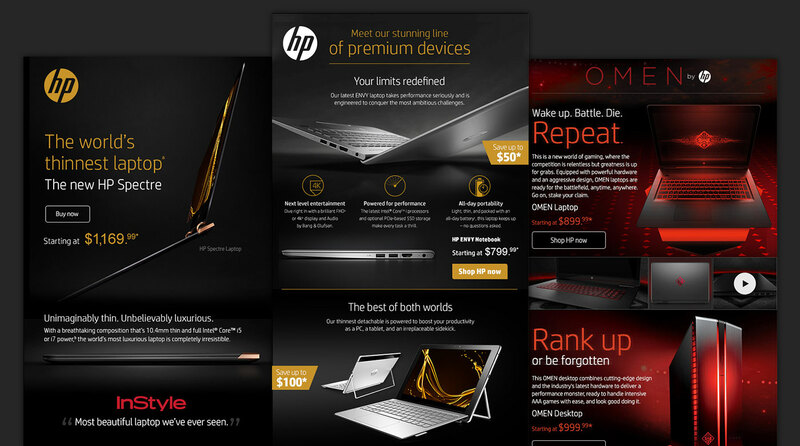 With the myriad screens in our lives, connecting with customers on a one-to-one basis is more important than ever. 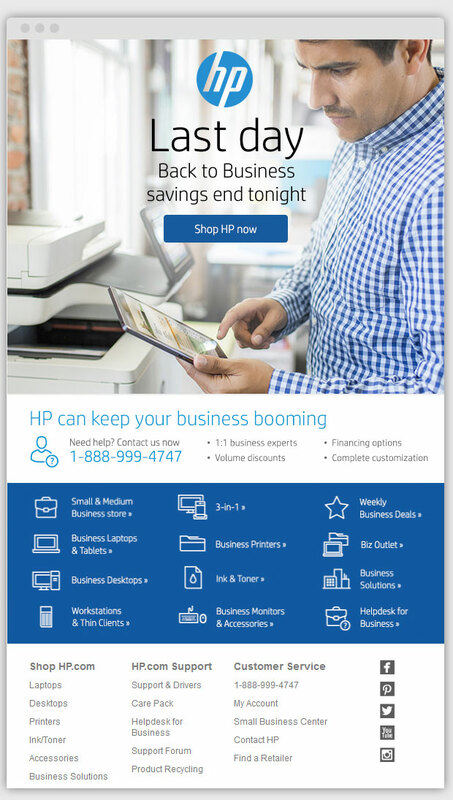 My team leads the highly personalized email stream for HP's consumer and small business arms. 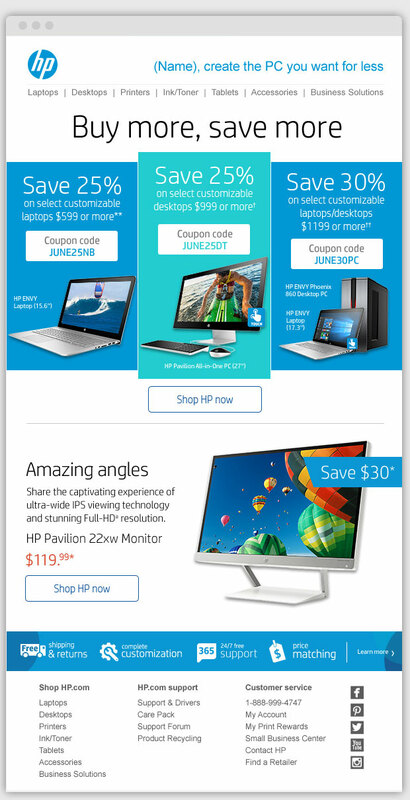 HP relies heavily on their highly sophisticated email program to drive revenue directly to their online store. My team is tasked with designing and overseeing production on an ongoing basis for these communications. Working directly with vertical leaders to ensure key revenue goals are met, we are constantly testing and adjusting cadence, audience, offers, and other various elements to stay on track.